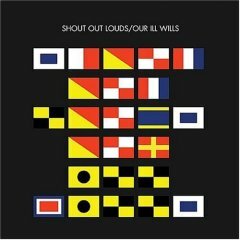 I have been listening often to “Impossible” by Shout Out Louds over the past few weeks. Emotionally, it touches similar territory as David Gray’s “Shine,” though on a different level. Anyhow, the point is that right around the four-minute mark of “Impossible,” the song seems to be winding down, but then it returns when you least expected it—just when you thought it was over, it isn’t. I could get into the way that the formal break here in the song echoes its content and question whether you can actually separate form from content, etc., etc., but I’ll leave it at that. Boys are faring worse [than girls] — and the time for symbols and leaders they can connect with beneficially should be now and should be theirs. Hillary Clinton’s gender does not rescue society from that — instead she serves as a kind of nostalgia for a time when it might have. Only her policies are what matter now, and here — despite some squabbling and bad advice that has caused her to “go negative” — the Democrats largely agree. But inspiration is essential for living, and Mr. Obama holds the greater fascination for our children.